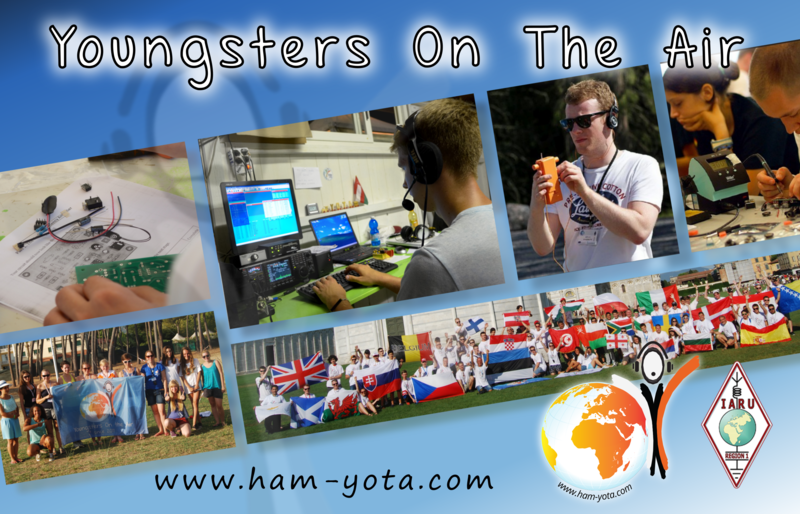 The entire month of December several youngsters will become active with YOTA as suffix in the callsign. The idea for this is to show the amateur radio hobby to youth and to encourage youngsters to be active on the ham radio waves. Give a demonstration on a school or local club, gather together with your friends, grab a pizza and make some QSO’s or enjoy a great pile-up. Let us all show this great hobby to the world! Feel free to make a QSO with the youngsters, they are happy to get some attention and exchange information. Licensed and unlicensed youth will be making QSO’s, be aware this could be their first radio contact ever and give them a chance to experience a possible new hobby. 3- Maximum of 2 callsigns per country If you are willing to make an exception, for example your country has several prefix districts, feel free to contact us with your request. 5- We kindly ask to upload the ADIF log on a daily basis. At least all QSO’s must be send as ADIF file before 10 January 2016. 6- All QSO’s must be made in December 2015. 8- All participating callsigns must apply! Deadline for registration will be closed on 20 November 2015.
tnx for the great activity this year! young people. Even in the pile-up we could raise the awareness about newcomer projects in the older hamradio operator community. By means of Special Callsigns almost every active radio amateur got in contact with our ideas and goals. and hope to welcome you in July2016 in OE2.